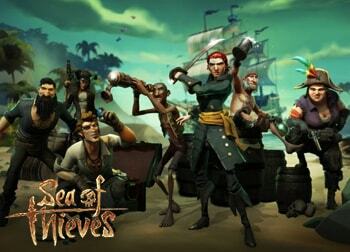 During the Xbox E3 2018 conference, Rare revealed that two new expansions for the piratical multiplayer game Sea of Thieves are coming in the months ahead. The first of the two expansions, Cursed Sails will be released in July and the second, Forsaken Shores will arrive in September. The E3 2018 Trailer shown below confirms the release months and gives hints of the content that will be included in the expansions. Skeleton crews will plunder the seas and Forsaken Shores will introduce a new map.